Mums, Superheroes and Dogs with Candles on the Amazon? After our rapid-fire PM switch, we're still grappling with the reality-show headlines of the US presidential race as Hillary and Donald throw insults vicious enough to make Boris Johnson blush. We can flee from the verbal arms-race in the film worlds opening in cinemas across the UK. While the previews broadcast to the captive audience, watch the smartphones dim as Pokémon chasing ceases for a few hours. Cool down with a petite lemon and mango sorbet or be a super-foodie with the latest antioxidant-merger, dark chocolate-covered edamames. In August, comedies offer relief from the horror headlines but childhood adventures and all-conquering superheroes also star. 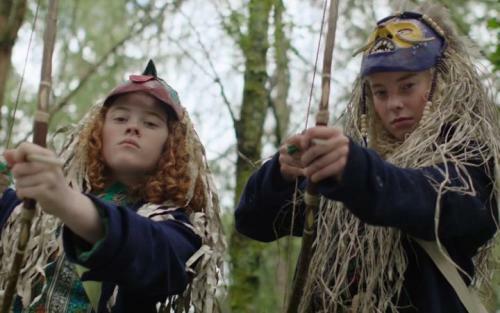 Read on to discover the best movies premiering in the United Kingdom in August 2016. For almost a century, Arthur Ransome's classic children's books featuring the adventures of two crews of children have entertained countless young readers. Named for their dinghies – Swallow and Amazon, their imaginations are fuelled by exploration of our Lake District, leading to exciting tales starring pirates, miners and sailors. After a dozen stories, the region is still swamped with tourists visiting the sites immortalised in their escapades as today's kids learn to read and dream with the same novels their parents enjoyed. The tale finally features on the big screen, starring Golden-Globe nominated Kelly Macdonald (Boardwalk Empire, Harry Potter, Brave, No Country for Old Men), Andrew Scott (Sherlock, Alice Through the Looking Glass, Spectre, Pride), Rafe Spall (Prometheus, Shaun of the Dead, Hot Fuzz), Jessica Hynes (Harry Potter, Shaun of the Dead), Harry Enfield (Kevin & Perry Go Large) and a cast of young actors living every child's dream. In 1967, Britain was invaded by The Dirty Dozen, 12 of America's worst criminals. During the chaos of WW2, these bad eggs were offered freedom if victorious in a daring mission against the Nazis. Their exploits, based on the real-life 'Flithy Thirteen', led to a slew of remakes and sequels exploiting the challenges of the anti-hero. In 2016, a new band of American-inspired criminals invade our shores as the Suicide Squad. 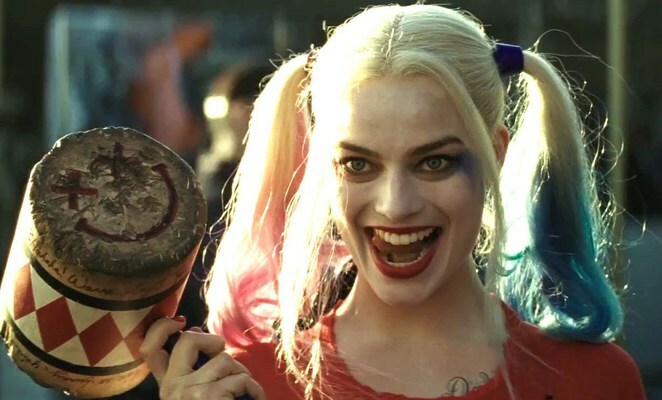 This gang of comic-book characters include The Joker, the giggling nemesis of Batman, played by Jared Leto (Dallas Buyers Club, Fight Club, Panic Room, Requiem for a Dream) after Jack Nicholson and Heath Ledger excelled as the evil clown and Harley Quinn, a dysfunctional psychiatrist, played by Aussie star Margot Robbie (Neighbours, The Legend of Tarzan, The Wolf of Wall Street, Z for Zachariah). Will Smith (Ali, The Pursuit of Happyness, Bad Boys, Fresh Prince of Bel Air) joins the crew as Deadshot, a mercenary assassin. The fictional world is in the DC Comics universe so Batman (Ben Affleck – Argo, Gone Baby Gone, The Town, Batman v Superman: Dawn of Justice) makes an imposing cameo. Hangover, the 2009 comedy hit featuring 3 friends recovering from a big night out, beating Beverly Hills Cop as one of the top-grossing R-rated comedies. 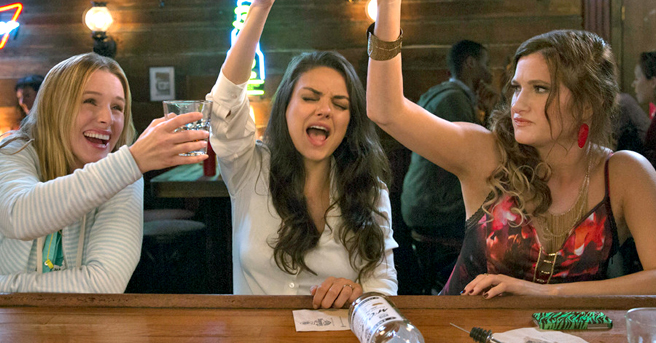 After a pair for sequels, the writers are continuing to exploit the stereotype of the crass American, now targeting a trio of ladies in Bad Moms. Overworked, these mums, Mila Kunis (Ted), Kristen Bell (The Boss) and Kathryn Hahn (Tomorrowland) need downtime. Perhaps inspired by the Absolutely Fabulous parenting guide, they party and indulge until chaos ensues. Trying to restore order, Christina Applegate (Vacation) parodies the absurd life coach with her cult of perfect mums tut-tutting in response. The Chilcot Report, published in July, highlighted some of the issues of the 2003 Iraq War. As Tony Blair's ears bleed and eyes water from the written and spoken vitriol in response, America's middle-eastern adventures also invite deeper scrutiny. In their khaki command post, the Pentagon, slick civvies grabbed a handful of blank cheques to arm Afghani locals and sway political momentum. Rather than endure thousands of pages of an official report, War Dogs captures the inane antics as a situation becomes more and more outlandish and an exit strategy becomes too embarrassing to contemplate. Jonah Hill (21 Jump Street, Moneyball, Knocked Up, The Wolf of Wall Street), often skipping between comedic and dramatic roles, joins Miles Teller, still sore from his drum solo in Whiplash, in this dramatic comedy with a few thrills, directed by Todd Phillips (The Hangover, Due Date, Old School). In 2004, the low-budget psychological horror Saw franchise began. The Aussie creators exploited the horror genre's classic camera techniques, clever plot twists and immersive tension, thrills and frights. Fortunately, their latest offering avoids the pints of fake blood, instead playing in the darkness and rattling our imaginations with the consequences. 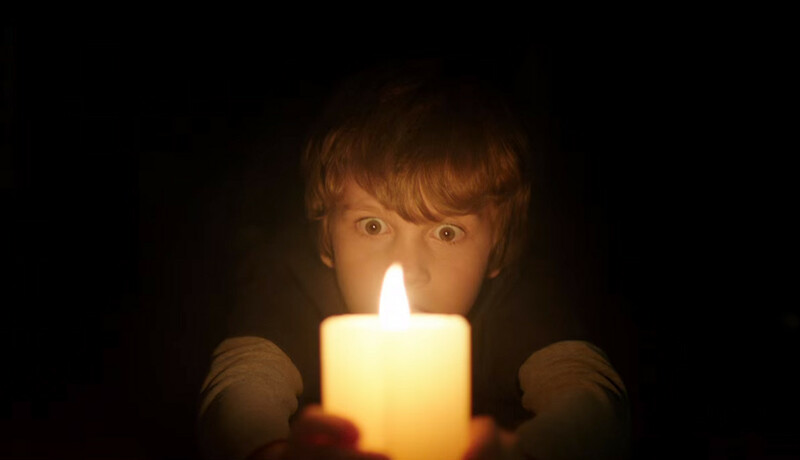 In Lights Out, we'll be glad to leave the lights on as we leave the cinema after seeing the terrified characters react to attacks from a ghostly girl stalking in the darkness but hidden in the light. As electricity prices in Britain create their own horror scenes on our bank statements, the cast need to battle a deadly spirit returning each time they flick the light switch. Maria Bello (Thank You For Smoking, The Cooler, Prime Suspect), explains the ghost's sad motivation which drags police officers, residents and children into a never-ending darkness.